1, Turn off your Asus A52/G51/K52, disconnect the ac adapter and remove the battery. 2. Turn your laptop right side up and open it up. There will be 5 tabs above the keyboard locking it down in place. 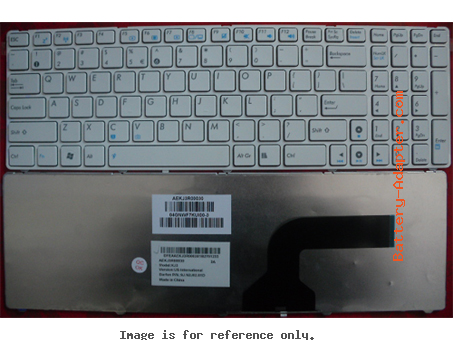 These tabs are located above the 'ESC', 'F5', 'F9', 'PRT SC', and 'END' keys. 3. Push each of these tabs back, toward the display to unlock the keyboard. 4. 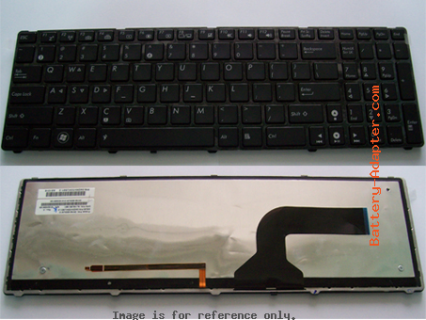 Lift up on the A52/G51/K52 keyboard and lay it on its face to gain access to the keyboard cable. 5. Finally, with the keyboard laying on its face you will need to unlock the keyboard cable. To do this, slide out the brown locking clip approx. 1/32" of an inch. 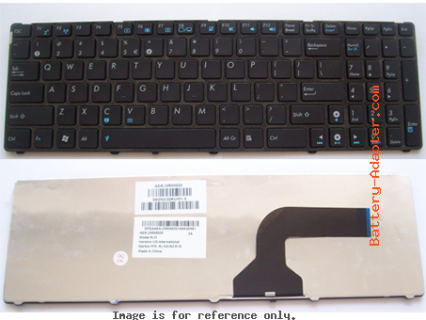 Reverse the procedure to install your new Asus A52/G51/K52 keyboard.